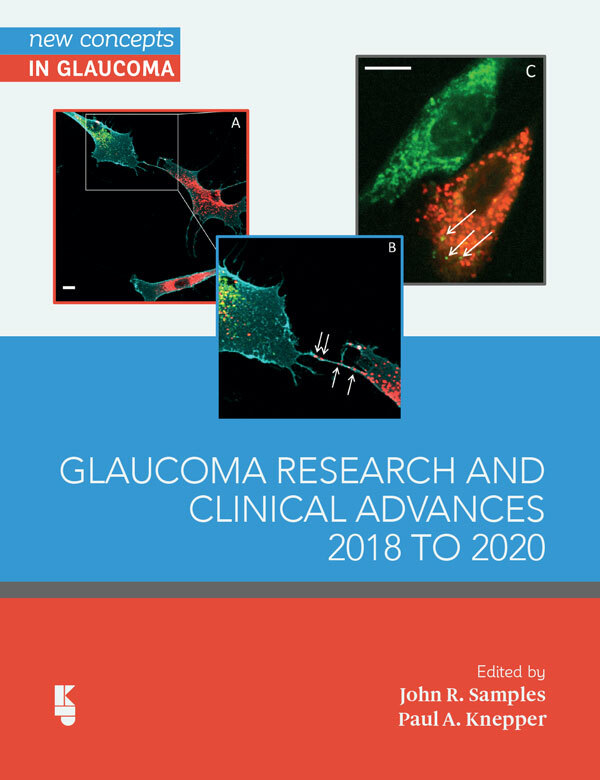 Volume 2 of the Glaucoma Research and Clinical Advances series continues our desire to address glaucoma with a combination of science and speculation. As science expands, the emphasis is on data, interpretation, and dogma. We disagree; open minds open new approaches. Using methodologies that are primarily molecular and genetic, we seek to refine the causes of glaucoma as well as how it is best treated, especially incorporating thoughts and hypotheses about new methods of treatment. Glaucoma is a complex disease, and genetics proves that a variety of proteins are culpable at one level. At another level, however, there are likely final common pathways and numerous feedback loops which have defied explanations to date. the optic nerve dysfunction leading to visual loss. Genetic mutations have yielded puzzling clues to the cause, but without resolution. For example, mutations in myocilin and optineurin genes are closely connected to the phenotype, but how do they cause the disease? In the next two years, priority areas of research are signaling pathway discoveries, biomarker panels, epigenetic factors, and continued genomic studies to yield answers to the common final pathways of the disease. The final pathways are complex and redundant, such that the overlap of bio-informatics will be challenging. Current promising leads suggest the innate immune system holds important clues to both trabecular meshwork and optic nerve pathophysiology. When the primary open-angle glaucoma disease pathways are unraveled, drug discoveries and new treatment modalities will be available for better regulation of intraocular pressure and neuroprotection for the optic nerve. This volume discusses the glaucoma pipeline from several perspectives as well as future candidate classes. As always, the authors herein are urged to speculate on how the cure of glaucomatous optic nerve damage will yield to new treatments. Trabecular Stem cell: review and speculation – Tin Aung et al.